Each year in Fife 2,000 people are newly diagnosed with cancer, this news brings with it tough questions, exhausting treatment and difficult emotions that can range from anxiety to loneliness and isolation. These challenges affect not just the person with cancer but their family and friends too. Maggie’s Fife is here for everyone and anyone affected by cancer, offering a programme of support that has been shown to strengthen physical and emotional well-being. Built alongside the Kirkcaldy hospital Maggie’s Fife is a place with professional staff on hand to offer the support people need. It is a place where people with cancer can seek practical, emotional and social support. Each day the Centre receives between 30 – 40 visits. To find out more about we do visit our website and watch this short animation. Maggie’s Fife needs your help, the Centre is about to embark on it’s 9th birthday in November moving closer to it’s 10th year of providing free cancer care for people in Fife, however Maggie’s is still here and it still needs funding. 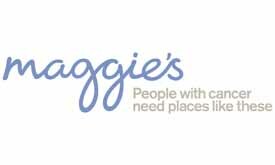 You and your business can help Maggie’s celebrate reaching this milestone in 2016 by taking part in an event or activity or even by choosing the Centre as your company’s charity of the year. Please see the enclosed/ attached sheet for more details. Maggie’s would also like to help your company, there are a range of ways they can do this from providing tailored ‘Working with Cancer’ workshops to train managers and supervisors on how to support people with cancer back to work or who have been affected through their loved ones. They can offer your business various opportunities to increase your brand awareness as well as help your company meet any corporate responsibility objectives. If you could spare half an hour to meet some of the Maggie’s team or to hear more about Maggie’s and to explore how we might find a way for you to lend your support in an appropriate and mutually beneficial way.